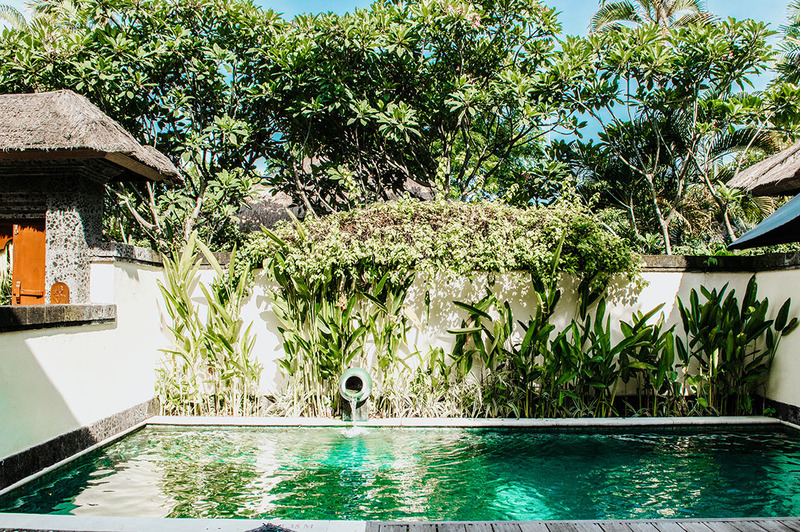 For the final two days of our Bali holiday, we chose to stay at The Pavilions – an exquisite hotel in a quiet area called Sanur. 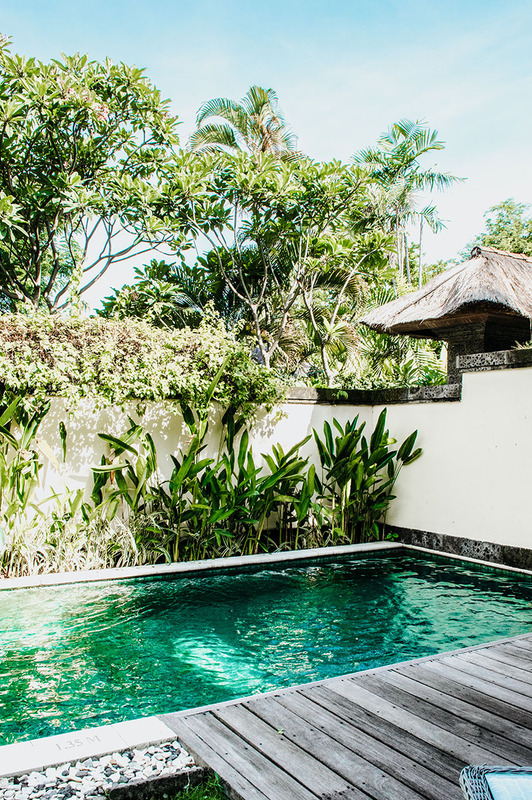 It ended up being one of our favourite stays in Bali! It was literally like stepping into another world. 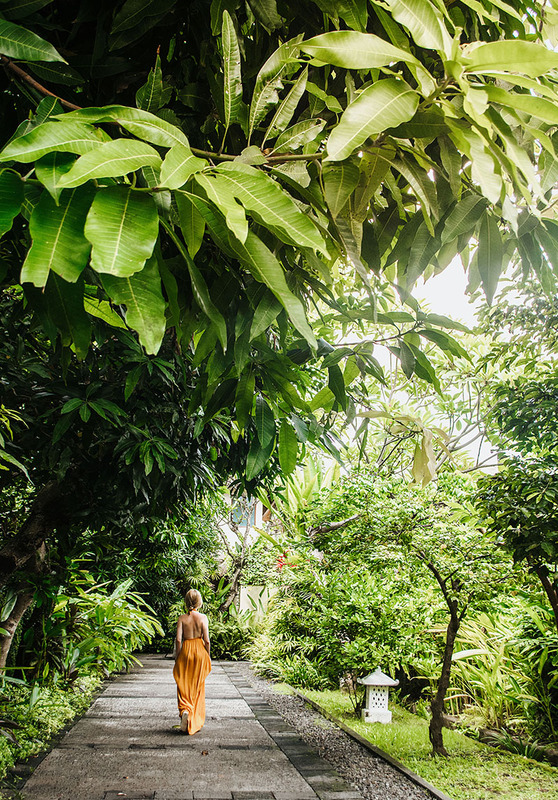 The green entrance of the hotel created a magical vibe, as if you were entering a hidden sanctuary despite being so easily accessible from the main street. You never hear any noise from the surrounds. 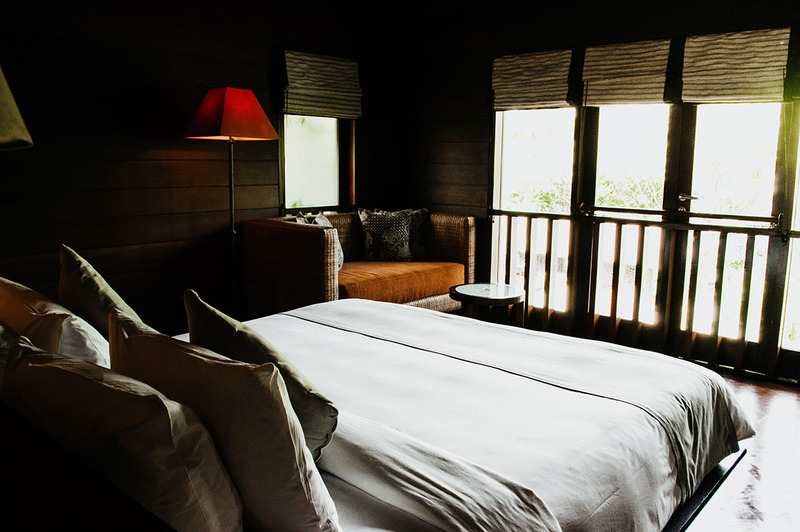 In fact, it’s such a peaceful and serene residence – I’m not surprised it’s a popular honeymoon destination and an ideal getaway for couples! 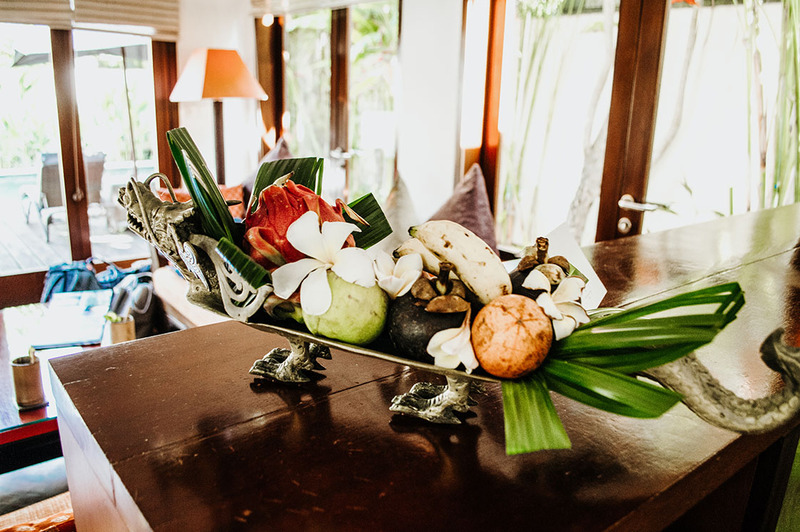 I adored the attention to detail, and the way they personalized your experience there. 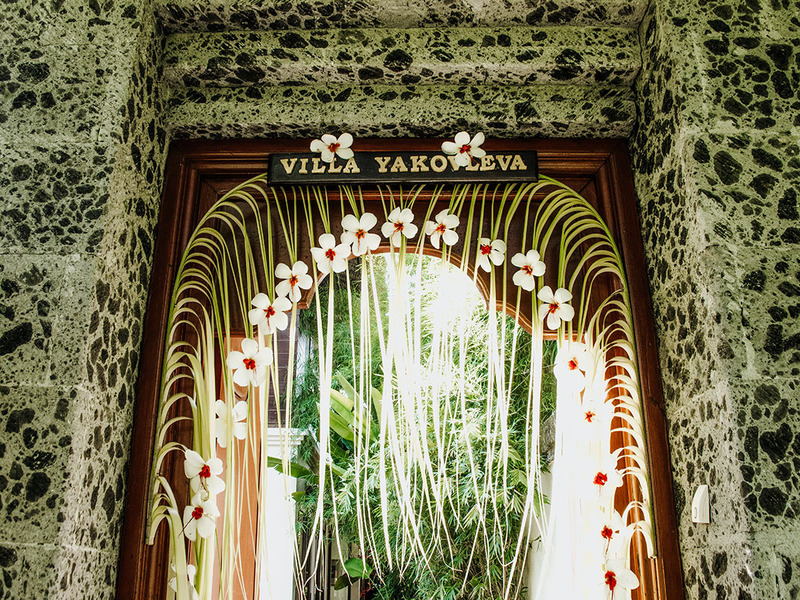 For instance, they decorate the entrance to each villa with flowers and your surname (mine was called Yakovleva!). 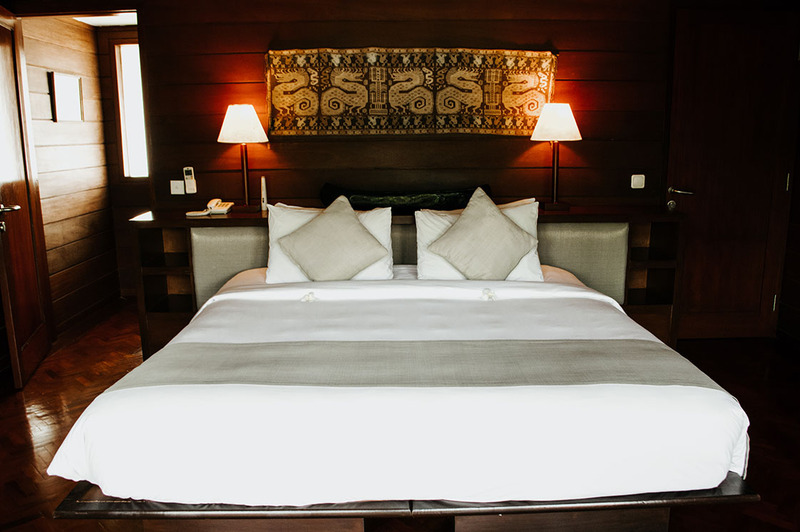 We had the exciting opportunity to stay in the honeymoon pool villa which was surrounded by vibrant tropical greenery. The room and all its facilities and amenities were outstanding. 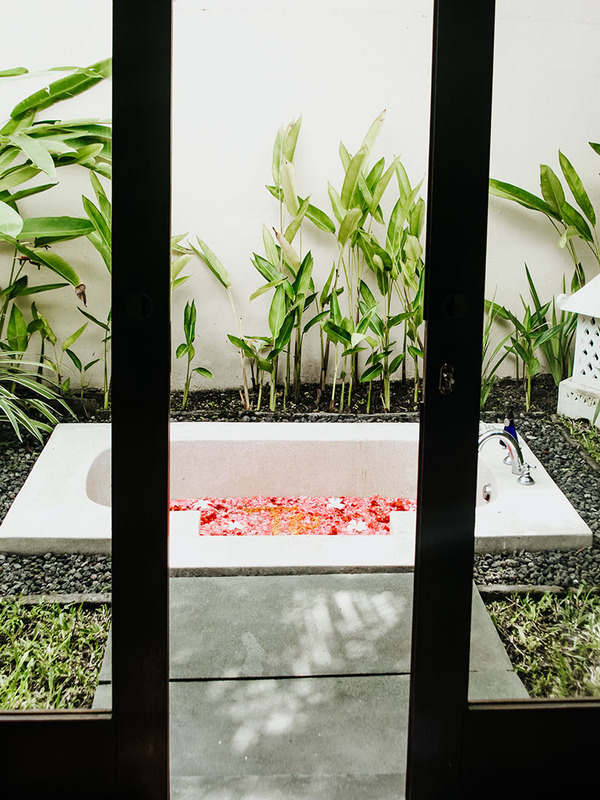 The bathroom was perfect, complete with a tub and both an indoor and outdoor shower! 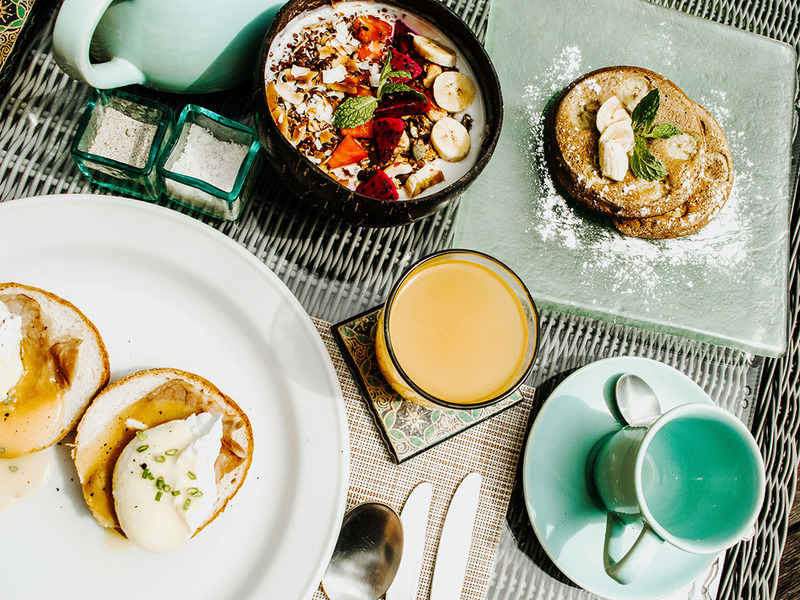 The breakfast menu was filled with a lovely variety of options. The room service was consistently prompt, with their deliveries always being freshly cooked and smelling beautifully aromatic. 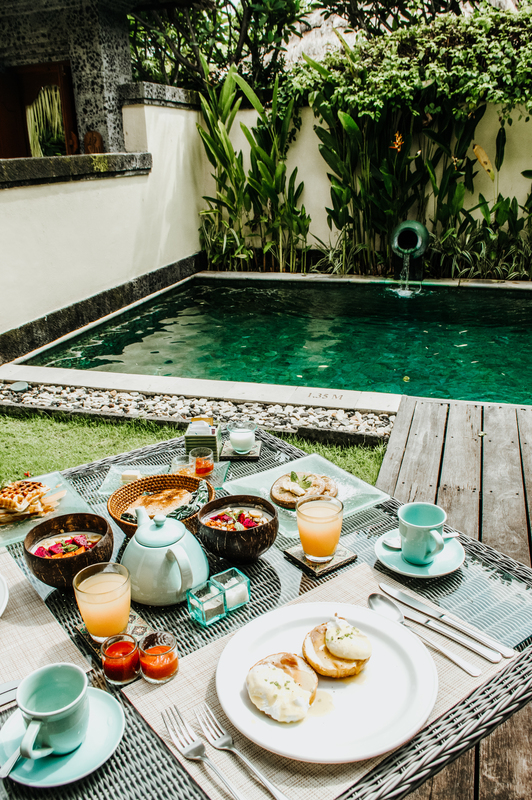 I was excited to find out that in the mornings, you actually get your own personal butler who comes to your villa to set the table and prepare breakfast for you! We also thoroughly enjoyed the restaurant meals at Jahe restaurant, which were not only scrumptious and tasty, but also very reasonably priced. Between the delicious meals, it’s easy to explore the surrounding areas. The Pavilions provides a shuttle service right to the beach, if you don’t feel like taking the short stroll there yourself. It’s great to have that option when all you want is to get straight out onto the sand! The manager of the hotel, Simona, and the whole team really ensured we had a fantastic stay at The Pavilions. A big thank you to all the staff there. Upon departure, we learnt that they also have other hotels in different parts of the world, so I’m looking forward to checking out some of their other venues across the globe!